In Part 1 we presented the general parameters of brain waves a person might experience throughout their day, evening, and during sleep. We also took a look at the “Aha! moments” of insight, electrically stimulated lucid dreaming, naturally occurring lucidity in dreams, Ayahuasca administration, and phasic REM sleep measurements. What other kind of Gamma waves or “Aha! moments” are humans susceptible to induce? The general consensus of the benefits and/or reasons for employing the practice of meditation is in order to “quiet the mind” which leads to a de-stressing of the body. It’s interesting to note that while many people report the generally relaxing effects of meditating on a consistent basis, some practitioners will report transcendental states in which they experience deeply profound insights of a “spiritual” nature. These experiences are currently not easily assimilated in terms of how traditional scientific minds tend to view measurable reality. However, it’d seem important to put these “transcendental states” into context with what we currently can measure. 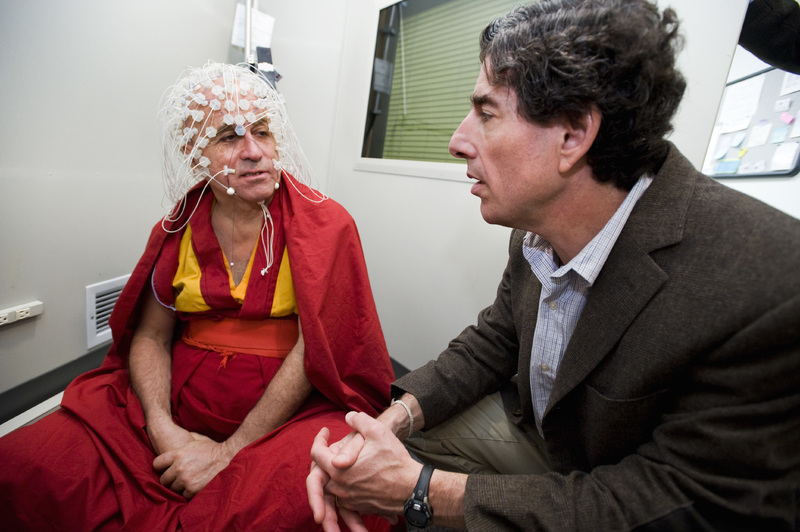 In 2004, Neuroscientist Dr. Richard Davidson’s would study the EEG waves emitted by Tibetan meditating monks and found some of the monks produced Gamma wave activity more powerful and of higher amplitude than any documented case in history. In 2008, Dr. Davidson would conduct another study with Buddhist Monk, Matthie Richard nicknamed “The Happiest Man in the World.” The EEG waves that Richard would showcase were considered to be literally “off the charts” in terms of significant strength. Another intriguing aspect of meditation is in regards to neuroplasticity. This refers to the ability for a person to literally change the physical structure of their brain. Being that we’ve outlined the fact that Gamma waves correlate with new neuronal connections actively taking place for the first time and the fact that Gamma waves are created in abundance for the long-term meditation practitioners, it should come as no surprise as to the positive emotional benefits of this practice. It shouldn’t be a surprise that “The Happiest Man in the World” is a long-time, dedicated meditator. When people tend to think of a natural “happiness” chemical inside the body, they’re generally familiar with the term “Dopamine”. In the brain, Dopamine functions as a neurotransmitter transmitting signals from one neuron to another neuron. Logic tells us that the “Happiest Man in the World” who generates sky high Gamma waves creating massive new neuronal connections is most likely simultaneously generating sky high dopamine surges. But what about the transcendental experiences these long-time meditators seem to have? Remember? The Gamma bursts of insights in the “Aha! moments” that occured at the 40 Hz range? Just because we can quantify those moments by utilizing “real-world” examples of insights based on scientific testing, it doesn’t necessarily equate to the Buddhist monk’s experience at 80 or even 200 Hz as being “unreal”. There has to be a consistency in terms of hypothesis and analysis. Perhaps modern science lacks the wide lens, deep scope framework needed to assimilate these experiences into potentially a “greater” reality of truths? Or perhaps it’s simply a lack of futuristic equipment that would allow us to peer into the world of higher level Gamma Waves? Dr. Rick Strassman hypothesized that there might be a correlation between bursts of endogenous DMT during deep meditative states which coincides with the “mystical” experiences. Based on studying the general projected mechanics for DMT synthesis and the physical aspects of meditative practice, the hypothesis doesn’t seem far fetched whatsoever. Hypnosis is a much maligned and misunderstood aspect of mind “tinkering”. 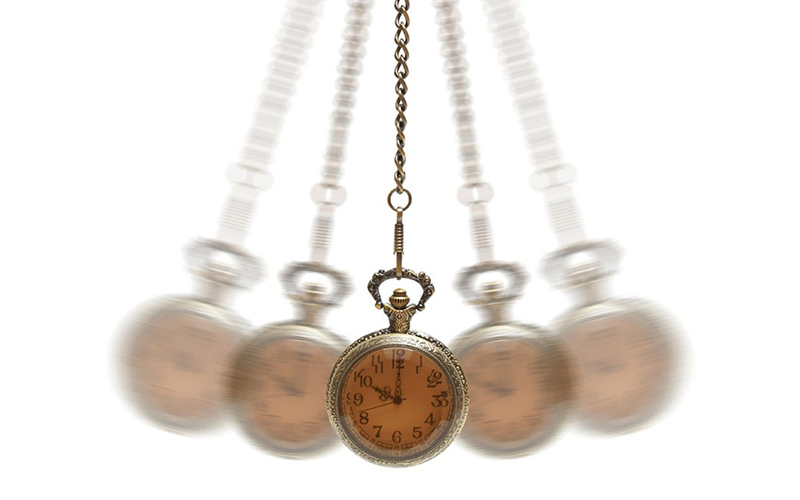 Many people think of hypnosis as a person clucking around like a chicken on stage after having a pocket watch dangled in front of their eyes. While there are such occurrences as this, there just might be a little more to this field of study. In 2000, Brain Research Bulletin published a paper in regards to the EEG patterns of hypnotized volunteers. The findings were as follows: EEG activity showed a significant increase in the gamma band with a left fronto-central prevalence. It appears as though these mysterious Gamma waves have once again reared themselves during hypnosis. The question is whether the hypnotized volunteers are merely thinking they feel less pain or if they are in actuality feeling less pain. At some point the question will be… does it really matter? The human mouth is considered one of the most sensitive parts of the body. 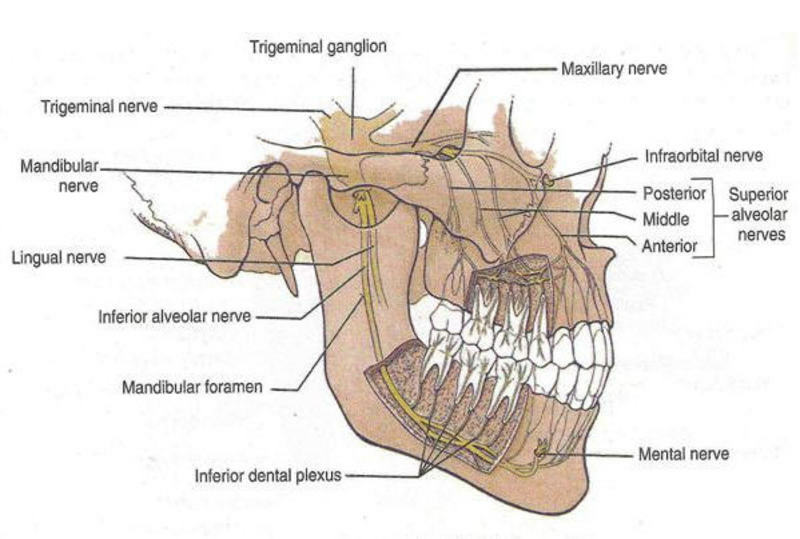 The concentration of nerve endings in the mouth appear to be quite vast. Generally speaking, the process of removing a fully embedded molar from a person’s mouth requires force and without the use of local or general anesthesia would be considered quite painful. The removal of a person’s wisdom tooth/teeth is considered to be surgical by nature sometimes requiring general anesthesia (putting a person to “sleep” via sedatives) as well as local anesthesia (numbing in the area of the tooth removal). This is rather intriguing based on the undeniable sensitivity of the mouth and the potential pain involved in extraction of the largest molars which was nullified by utilizing hypnosis (while likely inducing Gamma waves) moreso than chemical anesthesia . Bilateral neck exploration under hypnosedation: a new standard of care in primary hyperparathyroidism? It would appear pertinent to note that 5-Meo-DMT has been acknowledged to have analgesic effect within the mammalian body. A 1985 study in the journal Brain Research, observes that the analgesic effects of 5-Meo-DMT were reversed when noradrenaline (also known as norepinephrine) was depleted. This finding was corroborated in a 1987 study in the journal Physiology and Behavior. This would appear valuable to note as it pertains to significantly elevated norepinephrine (also known as noradrenaline) levels observed in hypnotized volunteers (but not control volunteers) as showcased in a 1991 study in the American Journal of Clinical Hypnosis. It’d generally appear that amongst certain people that are more susceptible to being deeply hypnotized (possible somnambulists) that this form of mind alteration method can be tangibly useful in an externalized fashion. While the precise, measurable physiological mechanisms of what is taking place throughout the brain and body during hypnosis and pain perception have yet to be fully deciphered, there are some interesting notes from Dr. Robert O. Becker’s book “The Body Electric”. “The Body Electric” showcases extensive details of Dr. Becker’s studies on the limb regeneration capabilities of salamanders. (Charlie, Howard, and I decided to find out how the brain’s DC (direct current) potentials behaved in humans. The electrodes we’d been using on salamanders couldn’t be scaled up for people, but within a week Charlie invented some that would give us equally precise readings from the human head. We immediately found that the back-to-front current varied with changes in consciousness just as in the salamanders. It was strongest during heightened physical or mental activity, it declined during rest, and it reversed direction in both normal sleep and anesthesia. This knowledge led directly to the experiments, described in Chapter 13, that taught us much about how hypnosis and pain perception work. One of the most exciting results of my collaboration with Dr. Friedman was proof that one’s state of waking consciousness could change the perception of pain. Friedman, who already used hypnosis to control chronic pain in his patients, gave several of his best subjects hypnotic suggestions of arm numbness deep enough that they couldn’t feel the prick of a needle. In each case, I found that the frontal negative potential of the head became less negative, often reaching zero, as the client attained deep trance. The reading changed in the same direction as in anesthesia, only not as far. Then, when the suggestion for pain control was given, the arm potential reversed just as it had in response to procaine. Conversely, when a control subject was asked in normal waking consciousness to concentrate forcefully on one arm, its sensitivity to pain increased, and the hand potential became more negative. We found we could use this difference to determine whether a person was really hypnotized or just cooperating. Much like we’ve noted in past pieces on Q4LT that it appears as though altered EEG waves (slowing down) appears to lead to an increase in Melatonin production, we now find that these slower EEG waves also appear to coincide with elevated Gamma waves (new neuronal network development) bursts. Knowing the immense complexity of the human body, there are likely other factors playing out during these states that has yet to be fully discussed. HGH (Human Growth Hormone) is a natural hormone secreted by the Pituitary Gland. Throughout our lifetime, the production of this hormone speeds up during puberty which leads to our growth spurts. Once we reach our general adult age (18-20), the production levels decrease drastically. Generally speaking, our genetic code appears to read the internal hormonal environment that correlates with the ability to reproduce, and once certain parameters are met, the purpose of growth is complete. However, the administration of exogenous HGH appears to be able to physically alter a person’s ability to grow well past their perceived natural age limit. Some of the most well noted observations of the effects of HGH on a person’s physique is amongst professional athletes (ex. 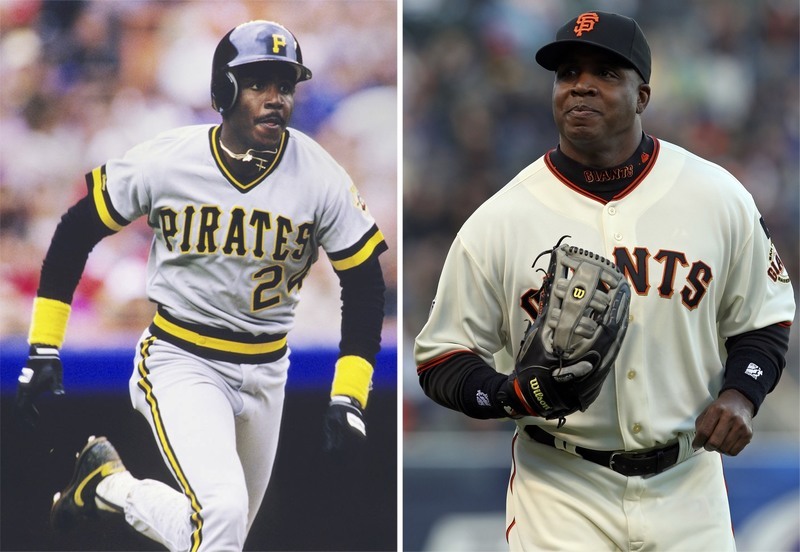 baseball player Barry Bonds). These athletes have ingested this hormone in order to enhance their physique and subsequently their physical performance. Some of the most visible side effects have been the increase in cranial circumference as well as the significant increase in the size of the hands and feet. Naturally speaking… this isn’t supposed to be possible without the outside forces of externally ingested synthetic substances. Somatostatin is a growth hormone–inhibiting hormone (GHIH). It is produced in the hypothalamus region of the brain, small intestines, stomach, & pancreas. This hormone suppresses the release of HGH (human growth hormone) amongst numerous other hormones. A few scientific papers imply externally administered Growth Hormone as accelerating bone fracture healing: Bone (2003), Clinical Orthopaedics and Related Research (2006), and Expert Opinion on Investigational Drugs (2009). While these are just a handful of studies in which hypnosis was utilized to successfully address physiological conditions, it appears rather intriguing to consider the potential hormonal fluctuations that occur from inducing these “altered states” of being. It appears as though the effectiveness of hypnosis is largely predicated on the hypnotizability of a person. While many people might naively postulate “gullibility” as a factor of hypnotizability, it instead appears as though there might be distinct physical factors that play a key role. The Corpus Callosum is a wide, flat bundle of neural fibers in the brain connecting the left and right hemispheres. It is the largest white matter structure in the brain and facilitates interhemispheric communication. In 2007, in the journal Neuroimage a study was published in regards to the positive correlation between the thickness of Corpus Callosum and increased intelligence. In 2013, the publication Brain the Journal of Neurology outlined the distinct, measurable differences in Albert Einstein’s brain compared to the average population. While Einstein’s overall brain mass was quite average, his Corpus Callosum was markedly much thicker in all areas. Interestingly enough, in 2004 a study published in the journal Brain outlined the fact that increased anterior Corpus Callosum is associated with hypnotizability and the ability to control pain. It’s also interesting to note that studies published in 2010 in the Proceedings of National Academy of Sciences and 2011 in the journal NeuroImage observe that meditation leads to developing a thicker corpus callosum. There are also studies showcasing what appears to be a correlation between Corpus Callosum atrophy and aging/Alzheimers disease: Neurobiology of Aging (1994), Archives of Neurology (2002), Journal of Neurology (2004), Journal of Neurology Neurosurgery and Psychiatry (2005), and Public Library of Science (2012). This goes back to the neuroplastic effects of meditation and other forms of mind altering states such as Ayahuasca, hypnosis, and possibly others. Unfortunately neuroplasticity goes both ways as the degradation of Corpus Callosum appears to coincide with lesser cognitive function. We’re beginning to digress again… somewhat. Thus far we’ve cited studies in which hypnosis appears capable of effectively nullifying pain, regrowing hair, and speeding up bone fractures. We’ve also outlined the apparent correlation between Melatonin production, Somatostatin suppression which subsequently correlates with increased HGH (human growth hormone) production. We’ve identified that Gamma Waves signify new neuronal connections throughout the brain which would appear to signify greater brain power during these moments. 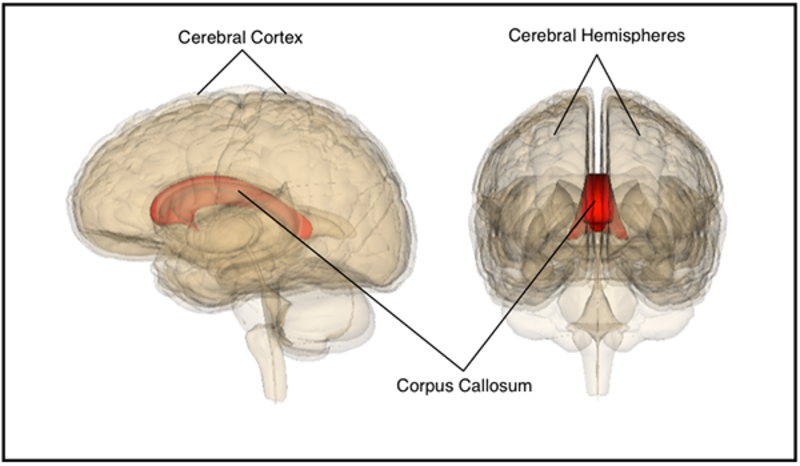 We’ve touched upon Corpus Callosum thickness playing a key role in the interconnectivity of both the left and right hemispheres of the brain. The question now becomes… what are the possibly most extreme potentials when utilizing the presented information? Let us continue the journey in Part 3!